Every year, the Stockholm Pride festival celebrates the queer lifestyle, showcasing the tolerant and open society that Sweden is famous for. This year, the festivities are from July 25 – Aug 3, and will be augmented by EuroPride 2008, a Europe-wide initiative;festival speakers will include Cecilia Malmström, Sweden’s minister for EU Affairs. On June 6 Swedes celebrate their national day. This year the celebrations in Second Life are going to be extra special — three days of shows and activities by some of Second Life’s most talented artists. The celebrations start on Friday, June 6 at 8 p.m. Stockholm time (GMT+1 or 11 a.m. SL time) on the roof of Second House of Sweden, Sweden’s virtual embassy in Second Life. Friday evening will be filled with performances by talented Swedish artists and DJs. Visitors will also have the opportunity to enjoy circus performances, clowns, fire eaters and more. The Swedish Institute’s General Director Olle Wästberg will kick off the celebration at 8 p.m. After his introduction, there will be a sing-along to the Swedish national anthem. After that, the performance artists and DJs take over until late. In the week running up to June 6, visit the lawn in front of the Second House of Sweden to see a special piece of scripted installation art. This NPIRL (not possible in real life) installation will materialize piece by piece to become a giant Swedish flag by June 6. The installation was conceived by Tina (PetGirl) Bergman and built and scripted by Deirdre Boyer. Saturday and Sunday, June 7–8, you can explore the beautiful archipelago, take a swim, sit in the sauna, and visit the country fair — with juggling clowns and fire eaters, camping tents, popcorn, ice cream and model airplanes. At 11pm Stockholm time Saturday evening, the well-known vaudeville performance group “The Show Must Go On”, directed by Osprey Therain, makes a special appearance. There will be plenty of freebie hand-outs, from red clown noses to the Swedish national dress and Swedish flag, just for starters. All are welcome, Swedes and non-Swedes alike. If you are a Swede, try to bring a foreign friend, so they too can partake in Sweden’s national day. Swedes in Second Life and the Swedish Institute. Two DJs will be responsible for the music during the evening and will make sure you feel like dancing. Special thanks to “The Show Must Go On” — Second Life’s best known vaudeville theater/circus. In cooperation with the Swedish Institute: The LiteraTour 2.0 project, together with the Public Libraries of Stockholm, welcome you to celebrate World Book Day with us – in Second life! 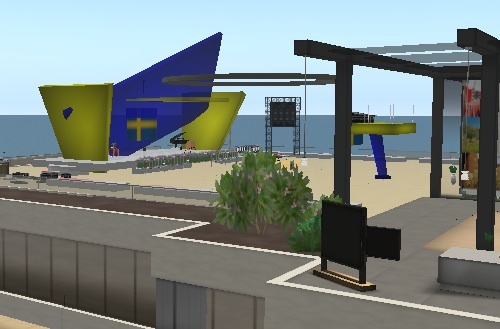 Where: Second House of Sweden (Sweden’s virtual embassy in Second Life). The event is a celebration of books, languages and intercultural dialogue. It’s one of a number of regular events that we call Literary Language Cafés. It’s all about sharing literature and languages across the borders – both in First Life and in Second life! Apart from learning about our exciting project you will receive a free T-shirt for your avatar… And we also have a musical surprise for you! The event will be held in Swedish and English. Everyone is invited! On March 18, the Swedish Institute is showing two Indonesian short films at the Second House of Sweden, in the virtual world of Second Life. 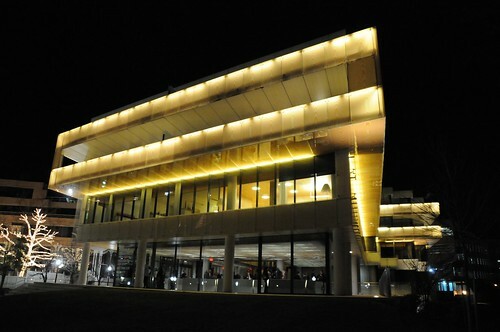 The films, “My Pikko” and “Night Shift”, were made during the Swedish Digital Filmmaking Workshop held in Jakarta from October 28 to November 18, 2007. Workshop participants will introduce the two films; afterwards, join them in a discussion of the films and the workshop. Anyone with a broadband Internet connection can take part. It’s free. A mother has to make a difficult decision regarding her daughter’s pet bird during the avian flu epidemic in Indonesia. Cousins Aziz and Upik work at a 24-hour convenience store in Jakarta. Aziz experiences Jakarta’s nightlife during the night shift, but gets caught in the intrigue of a crime committed by his old friend Jamal, a fellow employee. The Swedish Digital Filmmaking Workshop is a project of the Swedish Institute, in collaboration with the Embassy of Sweden In Jakarta, the Faculty of Film and Television — Jakarta Arts Institute and the Jakarta Arts Council. Swedish supervisors at the workshop were Dramatiska Institutet’s Marianne Persson and Hanna Andersson. Project coordinator is Winda Wastu Melati. Both Hanna and Winda will be at the showing in Second Life to discuss the films and the workshop. First-time users of Second Life: Get a free account at Sweden.se. Download and install the viewer (Windows, Mac or Linux), log on and you will be instantly transported to the Swedish Institute’s island. There, a short orientation course teaches you the basics of navigating Second Life. After about 15 minutes of training, you’ll be ready to join the activities at the Second House of Sweden. Seasoned users of Second Life: Using the map, search for “Swedish Institute” and teleport there. You can also use this SLurl. The Swedish Institute (SI) is a public agency that promotes interest in Sweden abroad. SI seeks to establish cooperation and lasting relations with other countries through active communication and cultural, educational and scientific exchanges. The Swedish Digital Filmmaking Workshop is one example of such work. This post is also available as a press release (1.6MB). I’m back in Cairo now after a hectic week in Washigton DC, finally with some more time to give credit where it is due for “House of Sweden goes Virtu-Real”, the wonderful installation that brings together the House of Sweden and Second House of Sweden. The Swedish Institute commissioned it and funded the installation, but the concept and the construction is by studio un/real, comprised of Mr. Matèrn and Mr. Kobayashi, a Swedish-Japanese architectural duo that first met at the architecture faculty of the Royal Institute of Technology in Stockholm. studio un/real had help. For the preparation and construction phase in Washington DC, it had the support of studio un/real team, “a creative collaboration platform for architects, designers, artists and performers.” Specifically, Kristin Gausdal and Markus Wagner were in Washington DC to collaborate on the construction and the technical setup. The Electric Sheep Company, which built the original Second House of Sweden, was responsible for a crucial bit of technological hacking — they converted an old Ericsson telephone into a device for calling Second Life, and wrote the necessary interface software to make it work. Finally, there was great support from the staff at the House of Sweden in Washington DC, who facilitated the setup and continue to be unremittingly enthusiastic about the installation. They are also our eyes and ears and hands if something goes wrong with the installation and needs tweaking. I’m going to take some vacation now, but will be back in a few weeks with more news about upcoming projects this year at Second House of Sweden. If you missed the inauguration, you can visit the installation yourself until March 16, either i Second Life or in Washington DC. House of Sweden, Washington DC — Second House of Sweden, Second Life. Join us either in the real world or in the virtual world of Second Life to visit a brand-new installation that spans both places: A room that is partly at Second House of Sweden in Second Life, and partly in the real world, at the House of Sweden in Washington, DC. The installation is part of an exhibition at the House of Sweden running from January 8 to March 16 that highlights Swedish technology and innovation. 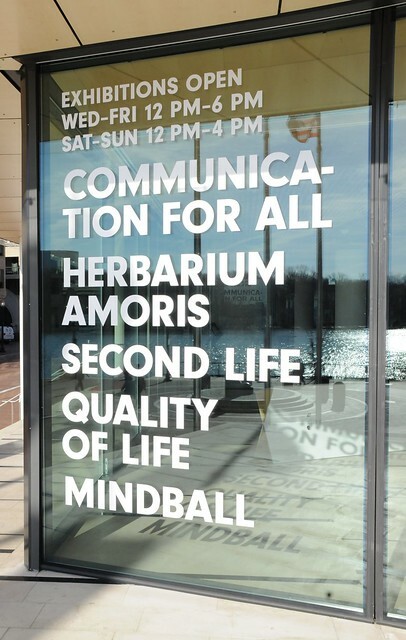 But if you are not in Washington DC, you too can visit — in fact, your presence in Second Life is crucial to making the installation “House of Sweden goes Virtu-Real” work. What does the installation do? 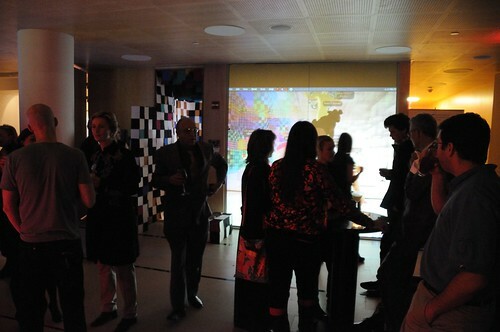 In the real world: As you approach the installation, a projection on a glass wall allows the room to continue into Second Life, where you can see avatars in real time visiting the room in Second Life. Beside the screen there is a “pixel cave”, a booth with an old Ericsson phone and smaller screen that lets you see the virtual room from the side. Pick up the phone, and a virtual phone will ring in Second Life. Anyone visiting the room in Second Life can answer the phone (by clicking on it) and talking to you. 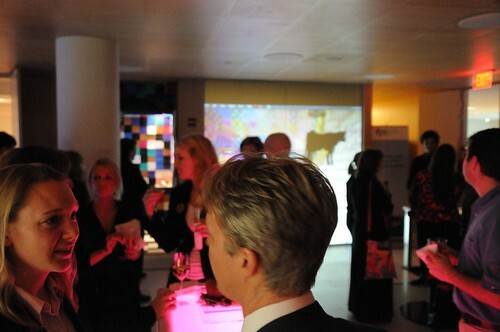 In Second Life: Visit the installation at Second House of Sweden, just behind the reception desk as you enter. Once there, turn on video to see a live view of the real-world exhibit along one wall. Remember, they can see you too! There is a big pink phone in the room. Touch it, and a real phone will ring at the exhibition. If somebody there picks up, you can have a conversation. Remember to have voice chat enabled. The installation is conceived and created by Studio Unreal + Team, an architectural collective with roots in KTH, the Royal Institute of Technology in Stockholm. The installation is commissioned and funded by the Swedish Institute, a government agency involved in public Diplomacy. More information about the real-world exhibition. I’m currently in Washington DC at the (real) House of Sweden, which houses Sweden’s Embassy to the United States. I’m here because on Tuesday, January 8 we’re inaugurating an art installation at the (real) House of Sweden that exists partly in Second Life. The installation is one of several in “Innovation & Technology”, an aptly named exhibition highlighting Sweden’s tradition of technological innovation that runs until March 16. If you’re in the (real) House of Sweden, you’ll approach a glass wall through which you see a continuation of the room in Second Life. There is also an old Ericsson phone there, with which you can make a phone call to the visitors of the room in Second Life. If you’re in the room at the Second House of Sweden, one side of the room is continued in the real-world embassy. Here too you’ll find a phone, which you can use to call people at the embassy. The installation was conceived by studio un/real + TEAM, a Stockholm-based architectural collective with roots at the Royal Institute of Technology (KTH), and funded by the Swedish Institute. You can see some of the team members at work on the installation in the photos above. The official inauguration is at 19.30 Washington DC time, or 1.30 Swedish time (i.e. early Wednesday), and everyone is invited, but if that time is a bit inconvenient for you, drop by anytime during the day on the 8th, as we’ll be putting the finishing touches on the installation and showing off the exhibition to the press.